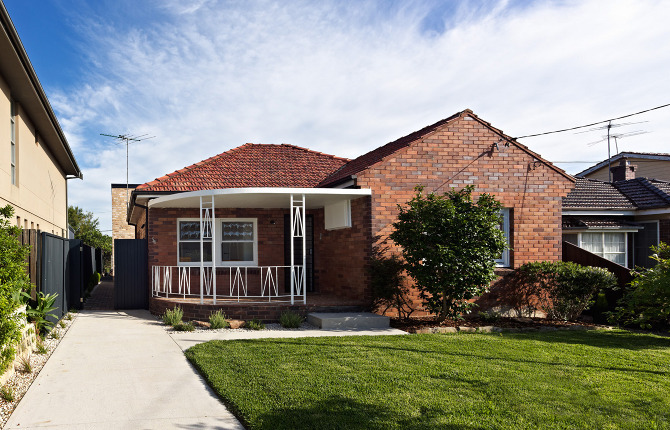 The original house, a charming modest 1950s bungalow, is not unlike a number of brick suburban houses located in Sydney. It is important that we recognise how effectively these houses can be updated to avoid the tendency to demolish. Furthermore, the reuse of the existing built form, and recycling of existing building materials is the correct environmentally friendly choice. The original house is a charming and modest 1950s bungalow. The architect, Tribe Studios, was brought in to design what they have described as a minor rearrangement to the interior of the existing house, the demolition of some add-ons to the rear and a new living pavilion. 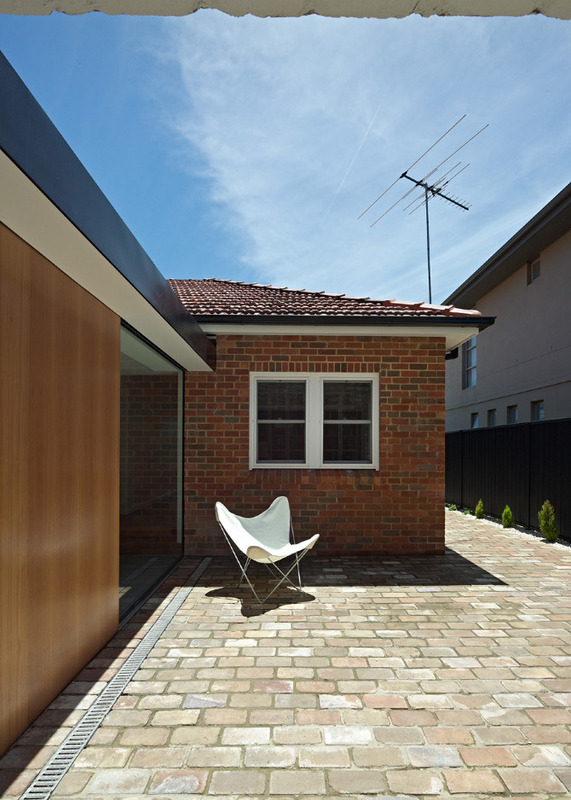 Large sliding timber doors have been used throughout to create spaces that can be altered. For example, a study within the living room can be fully concealed, a door can hide the TV and play equipment, or move to block off the hallway for efficient heating, or move again to shut out the sun in summer. 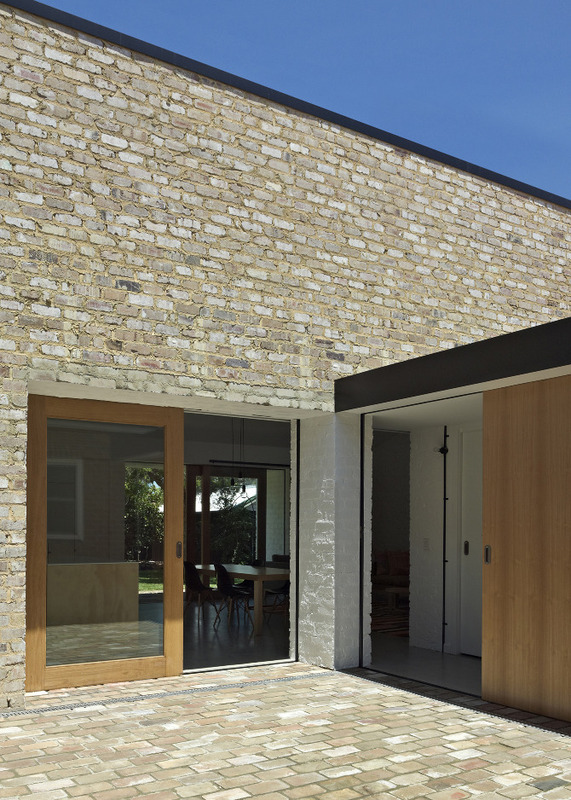 The architects outline how this design strategy of adaptability adds to the passive sustainability credentials of the house while retaining the generous proportion of outdoor to indoor space. Celebrate the 1950s don’t paint them away!